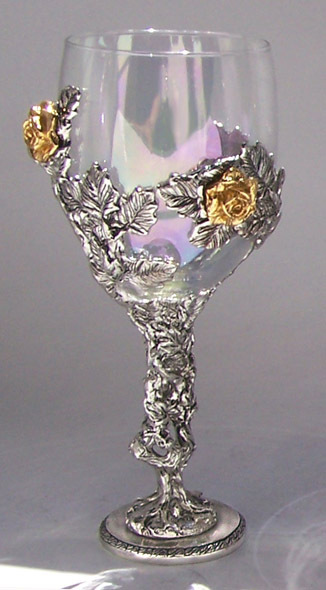 The gnarled pewter rose vine grows up around the glass, accenting the shear glass with lacey leaves. This glass holds 12 ounces when filled to the rim. Our pewter roses are plated with 23k gold, and the glass is covered by our Glass Repair Policy (found on our Home Page under "Cleaning & Glass Repair).